The Highland Reservoir was constructed before 1886, and is the oldest water storage site still serving Los Angeles. It had a capacity of 20.5 million gallons of water spread over 4.5 acres, and was covered with a multi-gabled roof to prevent evaporation (yes, the entire reservoir was covered by a wooden roof). The reservoir has been replaced with a tank, the roof design simulating the original. 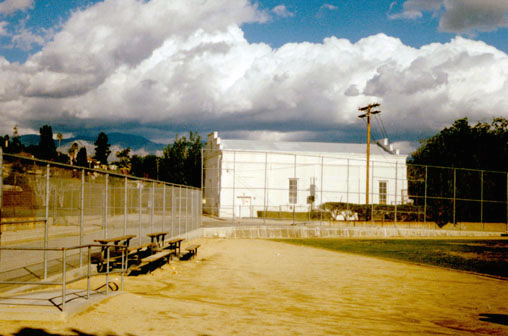 The reservoir site today serves as a Little League park, a skateboarding park (the Garvanza Skate Park – 2005) and park land. The Mission Revival pumping station, built in 1907, is still in use by the Department of Water and Power.